Sip your tea from a handcrafted mug, then pop it in the dishwasher – sheer luxury! My objects have developed organically. I make things I like to use. Over time I have settled for certain shapes and sizes but I am constantly experimenting. 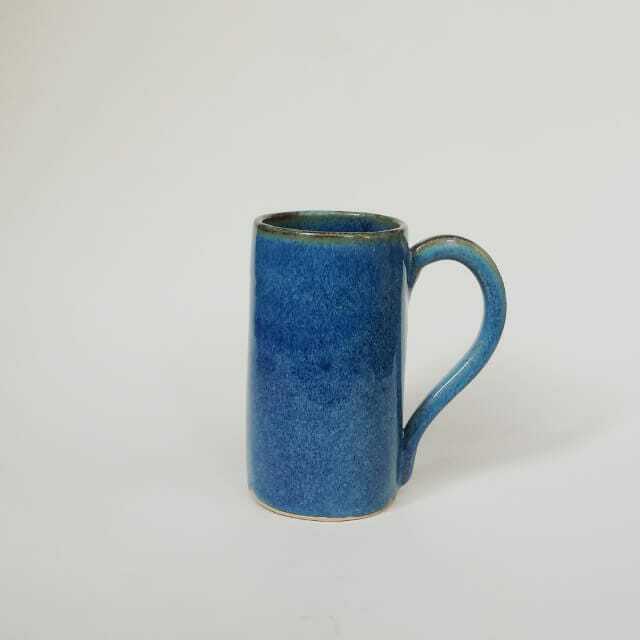 This stoneware mug was handmade by me in my London studio. 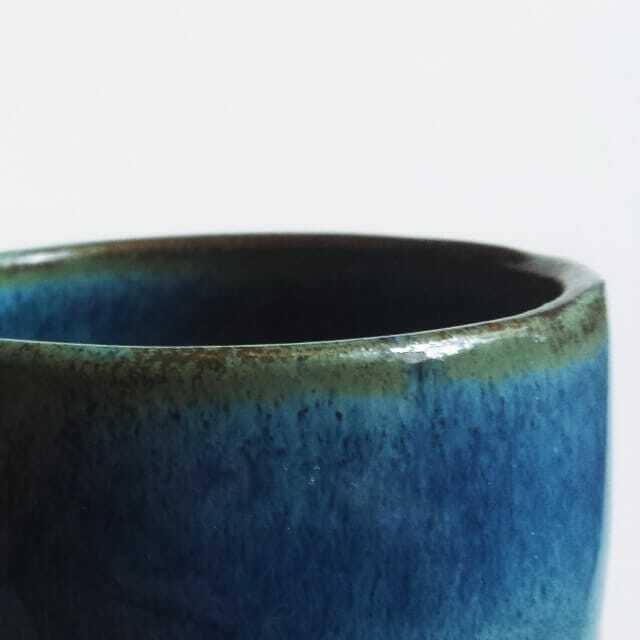 It is hand-thrown and glazed with traditional, oxide-based glazes which are food safe. 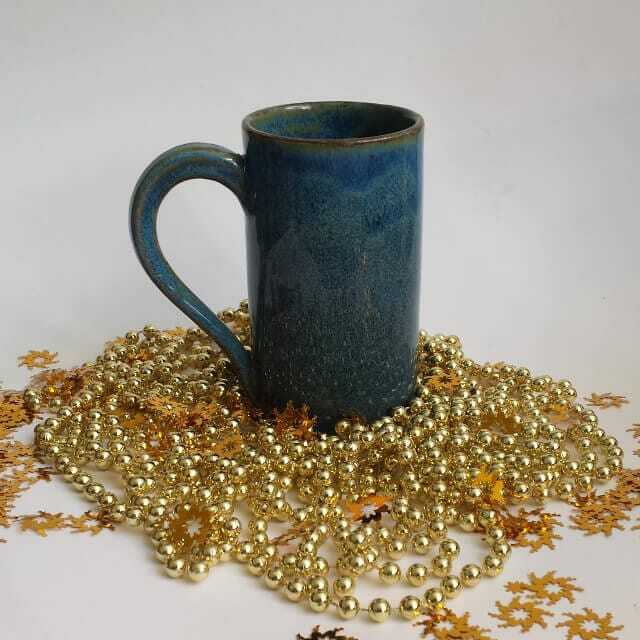 The glaze is shiny floating blue with gold and brown flecks and is strictly lead-free. This mug is dishwasher safe. Each piece is made individually. As my products are completely hand made, no two pieces are identical. There will be variations in colour and shape.